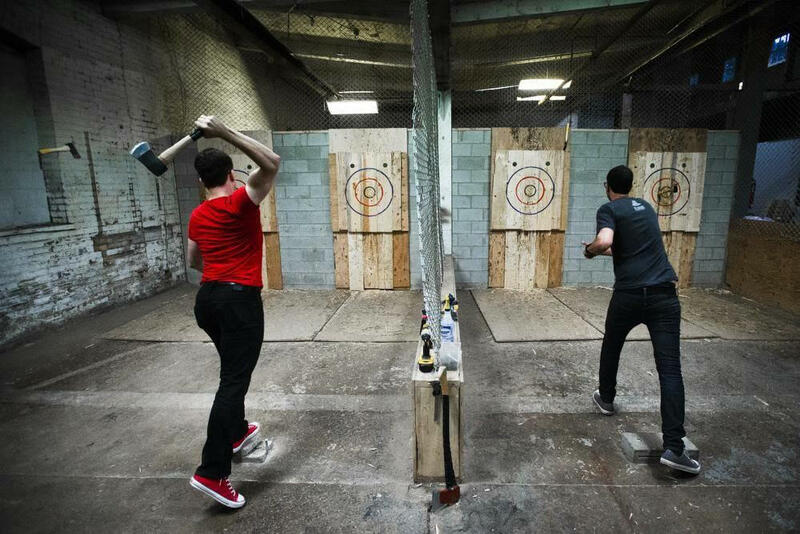 Axe Throwing At Bad Axe In NE Minneapolis! Allie DeCastro is a host of exceptional ability. Studies show that a vast majority of guests attending events by Allie have been known to leave more elated than visitors to Santa's Workshop, The Lost of Continent of Atlantis, and the Fountain of Youth. Join us for axe throwing, beverages and food. Learn about a radically different approach to Data Center Backup! Throw some axes and get ready for rush hour. Enjoy food and beverages courtesy of Xigent Solutions and Cohesity. The axes come out at 4:00p.m. so don’t be late! ﻿Spaces are limited — RSVP Today! Cohesity simplifies your IT infrastructure by consolidating secondary data silos on a single hyperconverged, web-scale platform. As a software-defined solution, Cohesity spans from your core data center to the cloud and edge, making it easy to manage all your secondary workloads with a single UI. Cohesity won Gartner’s 2018 Customer Choice for Data Center Backup and Recovery Software, a best of VMworld 2018 Finalist. Cohesity’s founder and CEO is Mohit Aron, the lead developer of Google File System and co-founder/CTO of Nutanix. Xigent Solutions specializes in data center IT services and solutions for mid-market organizations and is based in the Minneapolis/St. Paul area. Locally based and locally focused we approach each customer engagement as a long-term partnership and engage on both strategic and tactical levels to help drive greater business outcomes from IT.